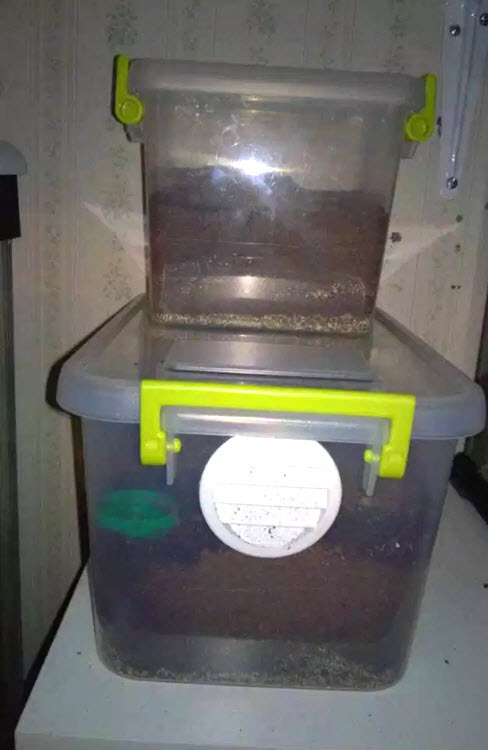 Turn stackable plastic containers into an enclosure for your tarantulas or other spiders! Remove the lid from the plastic container and clamp the container onto a wood board at the location where the vent will be. Use a hole saw to drill a hole in the side of the container, then sand the cut edges smooth. Use silicone to glue a plastic vent into the hole. Fill the cases with substrate, decor, and anything else your spiders may need, then reattach the lids and stack the cages.